In this interview, sustainable tourism consultant and university lecturer Natalia Naranjo shares her experience and thoughts on the current state of sustainability in travel and tourism in Latin America, why she decided to represent Colombia in the Global Sustainable Tourism Council, and what Colombia can learn from Canada. Which are the leading academic institutions in the sustainable tourism field in Canada and Latin America. Natalia, what was your view of sustainability and tourism when you first started your professional career? When I first heard about sustainability, I saw a proposal to do things in the right way. I started to work in tourism in Machu Picchu, Peru, in a hotel that was offering guided tours to add value to their guests; the tours focused on nature and culture. As a tour guide, I had the opportunity to experience the region, and learned about orchids, birds and the Inca culture. This is how I fell in love with tourism. For me at that time, sustainable tourism was a practice to show others the marvelous nature and local culture; an instrument for learning about and protecting the places we visit. My view on sustainable tourism has not changed, but my understanding of it has been growing as I learned about new concepts and ideas. What has changed is that since that time my work became my passion; and I keep learning every day to improve my skills and my knowledge about sustainable tourism. One big change occurred when I started to work with local communities in rural Colombia. During that time I learned that sustainability can not happen without people and individuals; without them – without all of us – it is impossible to speak of sustainable destinations. Without the involvement of local communities and consideration of their socio-economic situations in particular, sustainability won’t happen. Your key insights as sustainable tourism advisor? Every job, every community, every individual and experience is different. And when your job becomes your passion, the world becomes a small place, where great things can happen. How do sustainable tourism approaches differ between Canada and Latin America (Colombia), your working areas? Every place and culture is different; in Colombia and Latin America generally, we have still so much to learn regarding sustainability. We have to meet basic needs and solve local problems that pose huge challenges. We want to strengthen our links with countries like Canada; places with higher living standards, and where people and regional leaders have traditionally been more respectful of nature and cultures. I truly believe that tourism offers the opportunity to bring people and ideas together, to improve knowledge and mutual understanding. Where do you see the main challenges for sustainable tourism in Colombia? And Canada? In Colombia, we need stronger commitment of public institutions to provide basic infrastructure and improve living conditions for locals. And we need the tourism industry and professional associations to commit to sustainability as master strategy and a way of doing things right. Canada leads the world in terms of favourite destinations to visit, according to a National Geographic environmental stewardship survey. Those destinations represent not only Canada’s natural beauty and remarkable diversity; the country’s commitment to sustainable tourism is also well supported by government resources, industry associations, partnerships and non-profit organizations. In your view, what is the best way to measure sustainable tourism performance in hotels and destinations? Well, I think the best way is to establish mechanisms that would help monitor destinations on a regular basis; a mechanism that would offer results to support improvements and corrections. So far, most countries and regions use their own standards and guidelines for hotels and destinations. 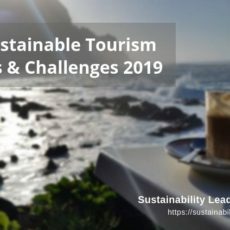 Very recently, the Global Sustainable Tourism Council has developed global criteria for sustainable tourism (hotels, tour operators and destinations), which are now considered the best international standards to follow and apply. What advice would you give newcomers to sustainable tourism consulting? Love what you do, learn every day, and don´t give up on sustainability. We are on our way, and we are becoming an ever stronger force. The UNWTO and the Klagenfurt University in Austria launched the International Handbook on Tourism and Peace, which features several experiences around the globe. This book was awarded in ITB 2015 and includes my article on community-based tourism in the Uraba-Darien region of Colombia. Your preferred news sources to stay up to date on sustainable tourism? The GSTC and the UNWTO are the main global institutions, but there are also other sources with a strong focus on nature, the Rainforest Alliance for example. Other topics to look for are responsible tourism, social responsibility and human development. The great thing about tourism (also challenging) is that it is very diverse in that it involves various economic sectors, a wide range of stakeholders, issues and topics. This makes it difficult to find one source for all, but you can use the GSTC and UNWTO to track other sources, institutions, individuals and databases. 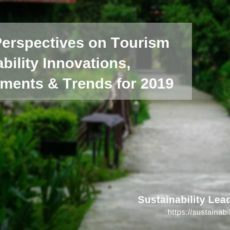 Also, there is a growing network of initiatives dedicated to sustainability in tourism, including the Sustainability Leaders Project, Hopineo, the South American Sustainable Tourism Network, Green Destinations, and so on. Why did you decide to become a university lecturer alongside your consulting with CaLatam? I´ve been a tourism consultant for a long time and usually that implies workshops and training. The university is new for me and I found this very challenging and motivating. I think it is very useful to stay up to date and this work makes me think about teaching methodologies, how to develop critical thinking and motivate students to be great professionals – being able to influence those things is just amazing. CaLatam (Canada-Latin America) is a vehicle to bridge two regions engaged in sustainable tourism. I am interested in facilitating exchanges, expanding the network, and learning from each other. Through CaLatam we are creating a bridge to transfer intelligence and expertise – we have much to learn from each other. 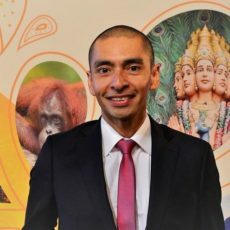 How does CaLatam help tourism companies/destinations around the world? We help build bridges between Canada and Latin America, specifically Colombia. We support communities through our CSR program, create networks though events and build capacities through training, while conducting strategic assessments for organizations, communities and destinations. We are supporting the Uraba-Darien region of Colombia in their process to build a culture of peace through tourism, and support emerging networks and innovation together with students and volunteers. We spread the word about tourism, peace, sustainability, responsibility and ethics. Why did you decide to represent the GSTC in Colombia? My leitmotiv is Think Global Act Local; GSTC is the perfect place to share, meet and exchange ideas for global sustainability. I’m very grateful for this opportunity and support GSTC’s mission in Latin America, specifically in Ecuador and Colombia. Why did you co-found the South American Sustainable Tourism Network? We have a great cultural and natural richness here and sustainable tourism is a huge opportunity for our destinations. The SASTNetwork was born in Brazil, after a GSTC meeting in Bonito, by people who share the same passion and want to strengthen sustainability in our countries. We want to build a network strong enough to support local initiatives, and are currently looking for allies and supporters to join us in making this a reality. Finally, which are the leading academic institutions in the sustainable tourism field in Canada and Latin America? In Colombia, Externado University is one of the main academic institutions leading the sustainable tourism field. In Canada, Ryerson University in Toronto, Algonquin College in Ontario and the University of Northern British Columbia. Connect with Natalia Naranjo Ramos on LinkedIn. 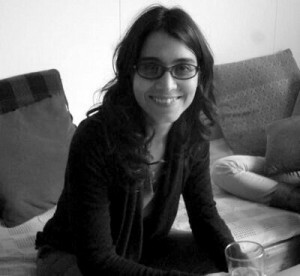 Enjoyed our interview with sustainable tourism expert Natalia Naranjo from Colombia? Spread the word! ← Travel and Tourism Authenticity Crisis: How Can We Fix It?